While it may not be the warmest start to spring for most areas of Canada, with snow continuing to fall in Toronto, Montreal, and Calgary (and Vancouver remaining somewhat cold, grey, and rainy, as per usual), the city of Edmonton has probably had it the roughest these past few months. 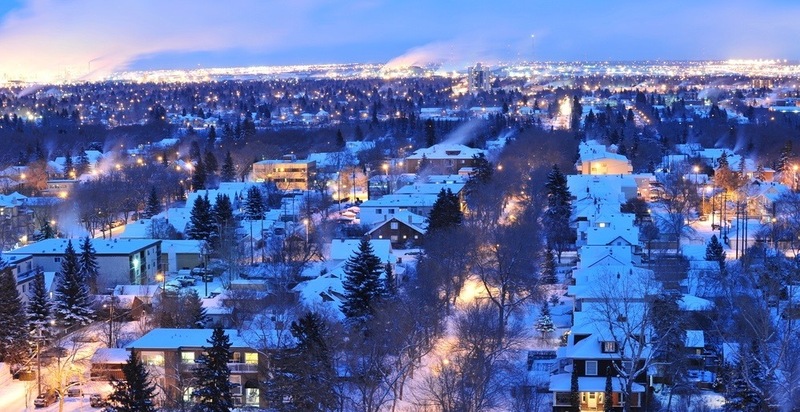 According to weather-watching Twitter account YEG Weather Records, the capitol city of Alberta hasn’t seen a full 24-hour respite from freezing weather in 167 days straight. Friday, April 13 marked yet another day of temperatures dipping down to, or below, 0°C in the city, with the streak going back all the way to October 27, 2017. To give that some context, the last time Edmonton saw a full day of 1°C or higher was before Russia was banned from competing in the 2018 Winter Olympics, before Prince Harry and Meghan Markle got engaged, and before the Tide Pod Challenge shattered our faith in the intelligence of today’s youth. The previous record had been set in 1974/75, when Edmonton hadn’t seen a full day above freezing between November 2, 1974 and April 16, 1975. That’s not to say that Edmonton hasn’t seem some warm, sunny days this time around, of course, as even today the city is sitting pretty with a high of 5°C, according to Environment Canada. Saturday, April 14 even has a chance to break the never-ending freeze, as the day is forecasted to see a high of 9°C and a low of 0°C. 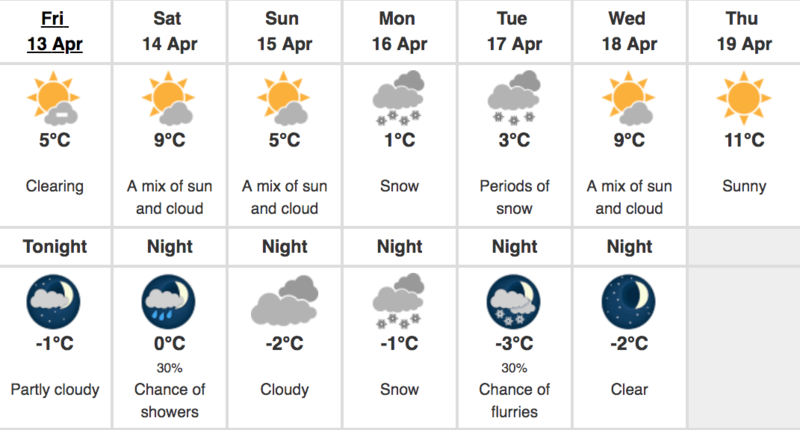 Of course, there’s some snow on the way after that, because Mother Nature is a cruel and mysterious force, but at least there’s a glimmer of hope for the Edmontonians up north. And, if all else should fail, we can all hold onto the knowledge that the first day of summer is only a short 49 days away.